Here’s a close up of the ooey-gooey layer just to entice you a little 😉 I think that this brownie would be better without the walnuts, but if you like nuts add them. Usually I like my brownies without nuts anyways, but I just felt like the flavors didn’t mesh as well with the walnuts as they would have without them. But, like I said, if you like nuts, throw them in there. I just want to add that I was really impressed with the brownie portion of this recipe. Every homemade brownie recipe I try is never as moist as the ones from a box, which is frustrating because if it’s homemade it should taste better!! But this brownie recipe had it figured out. Moist and decadent! All together it was just plain awesome!! Fun and different, but yet so delicious! Yum!! Press cookie dough into a greased 13-in. x 9-in. x 2-in. baking pan. If you use mychocolate chip cookie recipe, you will only need to press 3/4 of the batter into your 9×13. Bake at 350 degrees for 10 minutes (The original recipe says 10 minutes, but I would only bake for 5-7 minutes, especially if you use my cookie recipe). Meanwhile, in a saucepan, combine the marshmallows, chocolate chips and butter. Cook and stir over low heat until melted and smooth. Transfer to a large bowl; cool. Beat in eggs and vanilla. Combine the flour, baking powder and salt; stir into marshmallow mixture. Stir in nuts. Spread over cookie crust. Bake for 30-35 minutes or until a toothpick inserted near the center comes out clean. Cool on a wire rack. For frosting, in a small saucepan, combine the marshmallows, milk, butter and chocolate. Cook and stir over low heat until smooth. 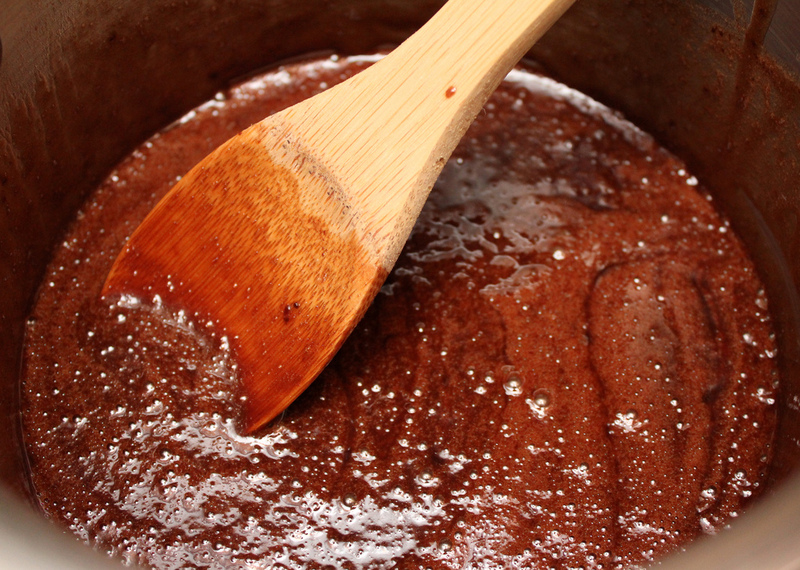 Remove from the heat; beat in confectioners’ sugar until smooth. Frost brownies. Cut into bars.